Ourworld Travel has been the leading Hajj and Umrah travel guides in Australia, New Zealand and Fiji over the past few years. We will be there with you every step of the way, from the moment you make your intention till the completion of your Hajj. With our first-hand experience and in-depth knowledge of the region's history, culture, cuisine and accommodations, you can be sure that all your Hajj and Umrah travel needs are handled professionally and efficiently. Please don't hesitate to contact one of our Umrah and Hajj travel experts for more information at (02) 4228 6055 or you may email us here. We are committed to providing our best possible service to our Jema'ah, Insha' Allah. 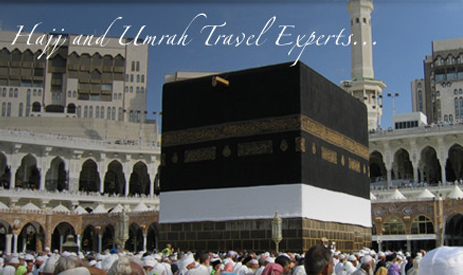 Please check out our Umrah/Jerusalem packages!!! at (02) 4228 6055 or you can email us here. cater to clients from Australia (including Christmas and Cocos Islands), New Zealand and Fiji. You can be sure all your travel needs are handled efficiently and professionally. packages to Makkah, Saudi Arabia. present our Business and Holiday Packages.